Flowering time July to Mid September. Other Information Plant is considered as sacred and is offered to Lord Shiva. The name Obvallata means surrounded or enclosed refers to the enclosed flower head. Flowering time July to August. Where will you find it in Valley of Flowers You can find it in abundance in Valley of Flowers easily. After you enter the main valley (three kilometers from entry gate) you can spot this easily if you visit in the month of July and August. Other Information The word Rotundifolia means Round shaped leaves as you can see the shape of flower in above picture. Where will you find it in Valley of Flowers You can find it throughout in Valley of Flowers after crossing the official starting point of Valley of Flowers. As you walk along the fixed path in Valley of Flowers you can see this flower on both of your sides from July to mid August very easily. After mid August the plant starts maturing and its color changes to brown. Other Information Formerly in La Mancha region of Spain, where Silene vulgaris leaves are valued as a green vegetable, there were people known as "collejeros" who picked these plants and sold them. Leaves are small and narrow, so it takes many plants to obtain a sizeable amount. In La Mancha the Silene vulgaris leaves, locally known as "collejas", were mainly used to prepare a dish called gazpacho viudo (widower gazpacho). The ingredients were flatbread known as tortas de gazpacho and a stew prepared with Silene vulgaris leaves. Where will you find it in Valley of Flowers You can easily spot this flower in the forest which comes after crossing helipad grounds from Govindgaht to Ghangaria. In the last one kilometer of the trek towards Ghangaria you can see this flower. Even after crossing Ghangaria towards Valley of Flowers you can see this flower easily. But you will hardly find any of this flower inside Valley of Flowers. Other Information This resembles cobra snake. So also called as Cobra lily. Local Name Meen, commonly called as cobra lily. Other Information The word Tortuosum refers to twisted appendage of the spadix. The name Cobra lily comes from its cobra like appearance, with a whip-like tongue, up to 12" long, rising up vertically. It is native to open Rhododendron forests, scrub and alpine meadows in the Himalaya from India to western China. Where will you find it in Valley of Flowers You can find Fritillaria Roylei easily in the main part of Valley of Flowers after crossing a big rock near the official starting point of Valley of Flowers. Other Information The tubers are used in treating asthma, fever and tuberculosis. In China bulbs are used in curing asthma and rheumatism. Where will you find it in Valley of Flowers You can find Polygonatum Verticillatum flower inside the main part of Valley of Flowers. Just three kilometres from the entry gate of Valley of Flowers the main valley starts. Maximum number of flowers are seen in the next two kilometers from the official starting point. Other Information In Ayurvedic system of medicine roots are used in the treatment of fever, general weakness and burning sensation. Roots and leaves are edible. Roots are also used in the treatment of cuts and wounds. Where will you find it in Valley of Flowers You can find this flower in the main part of Valley of Flowers after crossing a huge rock near the official starting point of Valley of Flowers. This flower is found in abundance in July month. Other Information Archangelica means powerful angel, referring to the powerful medicinal properties of the plant. Where will you find it in Valley of Flowers This Flower is generally not found in Valley of Flowers. 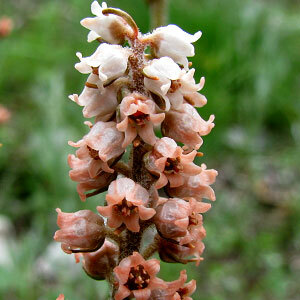 However, you can find this flower on the bank of Hemkund Sahib Lake. This flowers is found an altitude range of 3500-4800 m. This picture was taken on 5th September, 2012 at Hemkund Sahib Lake. Other Information The species name Candollii is on the owner of Augustin Pyramus de Candolle, Swiss Botanist. The fruits are used in treatment of renal diseases and stomachache. Aletris pauciflora is an rhizomatous, clump forming herb with fleshy roots. Clumps surrounded by bases of old leaves and flowers are yellow or pink orange. Flowers are very small and stalkless. The specific name pauciflora means few flowered.